How to prepare for JAM 2019 Geology – With only four months remaining for the JAM 2019 exam it is high time that candidates started their preparation. JAM will be conducted for the M.sc programmes on February 10, 2019 by IIT Kharagpur. With the exam inching closer everyday candidates will have a question as to how to prepare for JAM 2019 geology exam. This question is very well answered in this article. ‘How to prepare for JAM 2019 Geology’ provides candidates with all the tips they need to prepare for the exam. To prepare for JAM 2019 candidates need to have with them the right books to refer, a properly set time-table and a whole lot of sample papers from the previous year to give them an idea about the types of questions that could be asked. JAM 2019 will be conducted in the computer based mode which mean candidates will need to learn how to manage their time between sections. Read more to understand the tips to prepare for the exam. The Planet Earth: Origin of the Solar System and the Earth; Geosphere and the composition of the Earth; Shape and size of the earth; Earth-moon system; Formation of continents and oceans; Dating rocks and age of the Earth; Volcanism and volcanic landforms; Interior of earth; Earthquakes; Earth’s magnetism and gravity, Isostasy; Elements of Plate tectonics; Orogenic cycles. Geomorphology: Weathering and erosion; Transportation and deposition due to wind, ice, river, sea, and resulting landforms, Structurally controlled landforms. Palaeontology: Major steps in the evolution of life forms; Fossils; their mode of preservation and utility; Morphological characters, major evolutionary trends and ages of important groups of animals – Brachiopoda, Mollusca, Trilobita, Graptolitoidea, Anthozoa, Echinodermata; Gondwana plant fossils; Elementary idea of verterbrate fossils in India. Structural Geology: Concept of stratum; Contour; Outcrop patterns; Maps and cross sections; Dip and strike; Classification and origin of folds, faults, joints, unconformities, foliations and lineations,; shear zones. Stereographic and equal area projections of planes and lines; computation of true thickness of beds from outcrops and bore-holes. 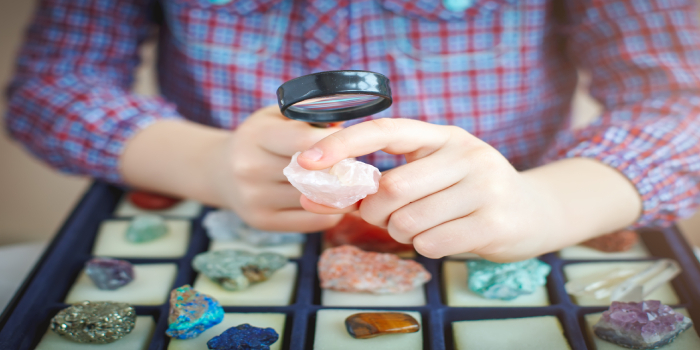 Petrology: Definition and classification of rocks; Igneous rocks-forms of igneous bodies; Crystallization from magma; classification, association and genesis of igneous rocks; Sedimentary rocks – classification, texture and structure; size and shape of sedimentary bodies. Metamorphic rocks – classification, facies, zones and texture. Characteristic mineral assemblages of pelites in the Barrovian zones and mafic rocks in common facies. Preparation for any exam starts with the right books. To prepare for JAM 2019 geology exam candidates need to prepare themselves topic wise in detail. The list of books given here are some of the important books that candidates need to refer to while preparing for the exam. It is most evident that preparing for an exam requires a time-table with which candidates will be able to use their time in the right way. While preparing a time-table for preparation candidates must make sure to a lot the time as per the topics to be covered. An equally divided timing will help candidates to cover the portion at the right time. Also, while preparing the time-table candidates must also make sure to incorporate time for solving of sample papers and attempting mock tests. While solving sample papers should be weekly during the starting months of preparation, candidates must make it a point to solve more and more sample papers towards the last few weeks before the exam. Solving sample papers will help in understand how the questions will be asked and the types of questions that will be asked in each of the sections. Through sample papers candidates will be able to sharpen their memory in case of a repetition. Sample papers from the previous years also give candidates an idea about how much of preparation is needed and how it can be made better. Mock tests are available online. Towards the last month before the exam candidates will be able to appear for mock tests which will be available on the website of JAM 2019. Candidates must make sure to attempt as many mock tests as possible because this test will be conducted just like the main exam which will give candidates a chance to practice how to manage their time during the exam. Attempting mock tests and solving sample papers will help candidates analyse as to where they stand.